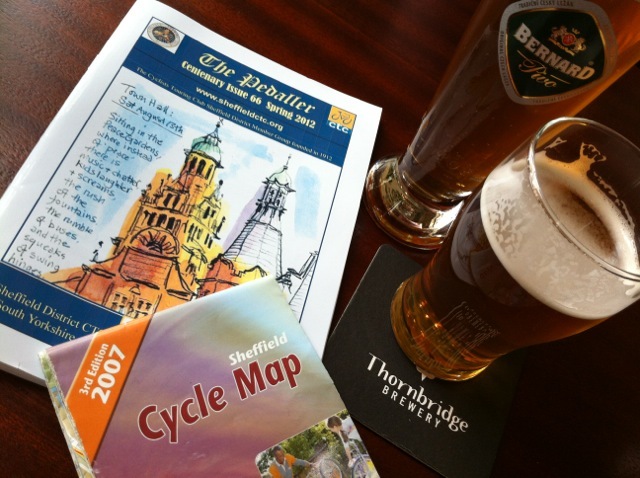 Preparing for our AGM next month brought to mind the CTC AGM and Dinner back in May, where there was plenty of interest for the ICF beyond the Sheffield Tap. This entry was posted in Inclusive Cycling Forum and tagged bikes, disability, infrastructure, sheffield, words on Sun 16 Sep 2012 by kevin hickman. Our first visit to Sheffield and the first impression is good – the city centre has clearly had a makeover in the recent past and very nice it looks too. We (Brigitte in particular) were less than impressed with the wet tracks of the city’s Super Trams though! If you follow her blog, or have read the current edition of CTC’s Cycle magazine (pages 20, 49 and 51! ), then you’ll be familiar with yorkshire’s queen of disability cycling and the main reason for our visit. 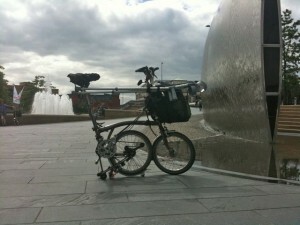 This entry was posted in Inclusive Cycling Forum and tagged bikes, disability, mobility, sheffield, words on Fri 6 Aug 2010 by kevin hickman.